Today, I am happy to announce the winners: Sky High Press! The group is made up of 3 girls Olivia Johnson, Elvin Mensah and Sarah Golds, so congratulations to you all! 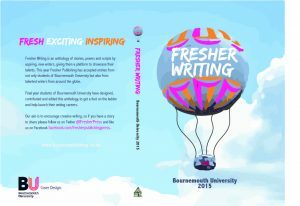 The winners have created a cover that stays true to Freshers Bournemouth roots, incorporating the tourist attraction that is the Bournemouth Hot Air Balloon. 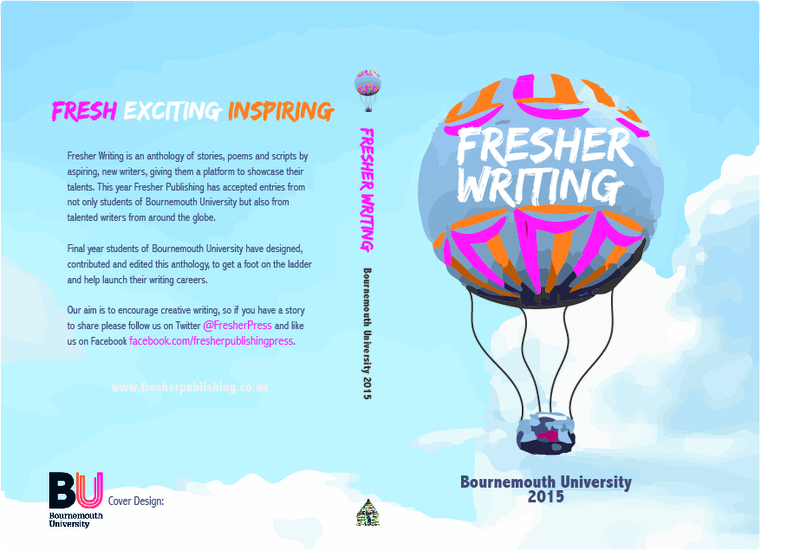 This cover will be the forefront of our 2015 Anthology which will be even bigger and better than last year! The shortlisted entries are to be announced shortly so keep your eye on the news page of the Fresher Website, or follow us on Facebook and Twitter to find out more.